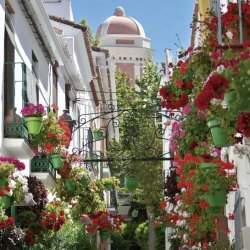 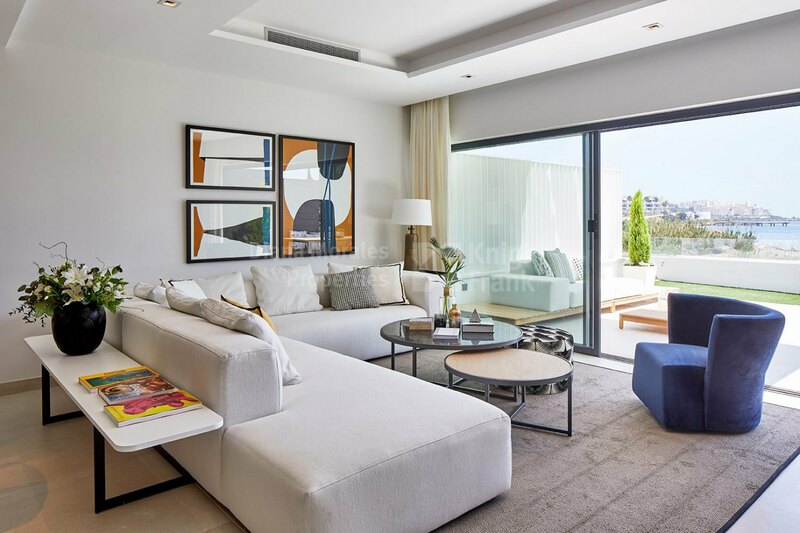 Please, send me more information about ref DMD1385 in Estepona Playa, Estepona or similar properties. 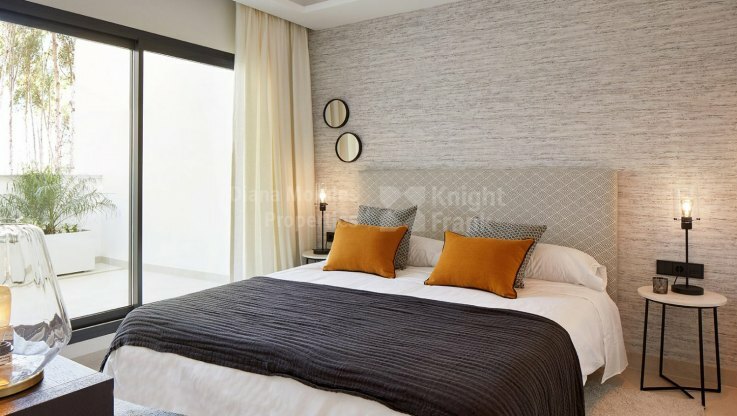 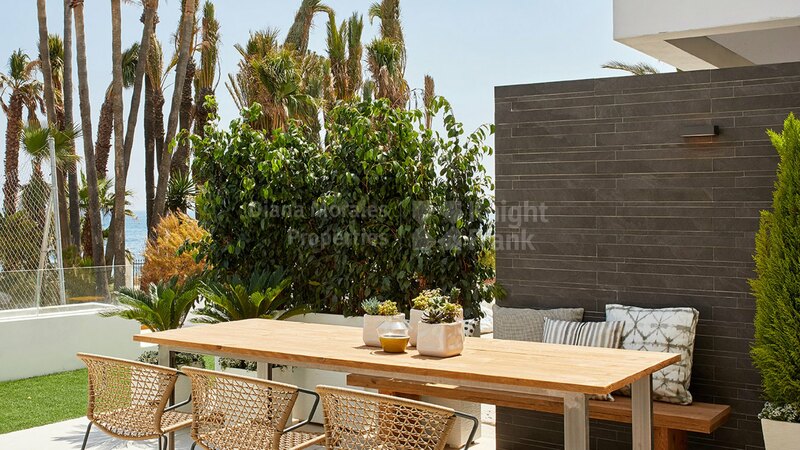 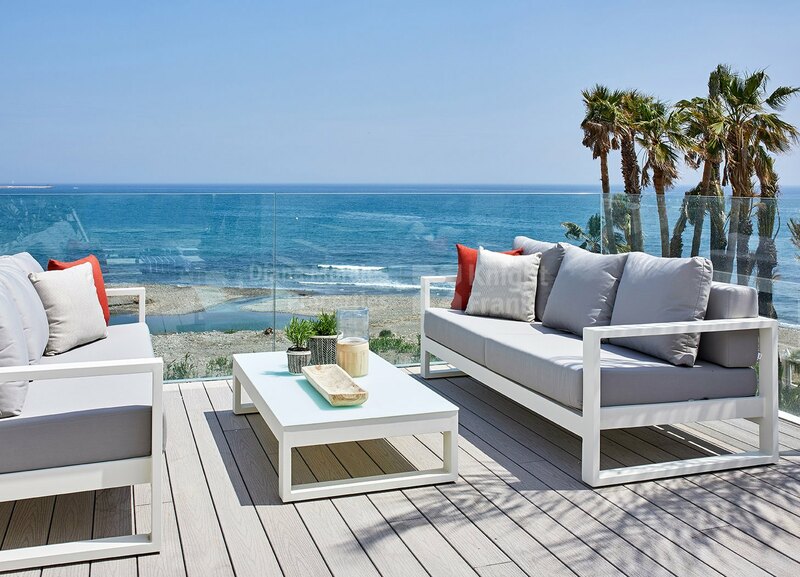 Fifty contemporary style townhouses, in a beachfront development next to Estepona town, all with private roof terrace with jacuzzi, pergola, ceramic and Timbertech decking. 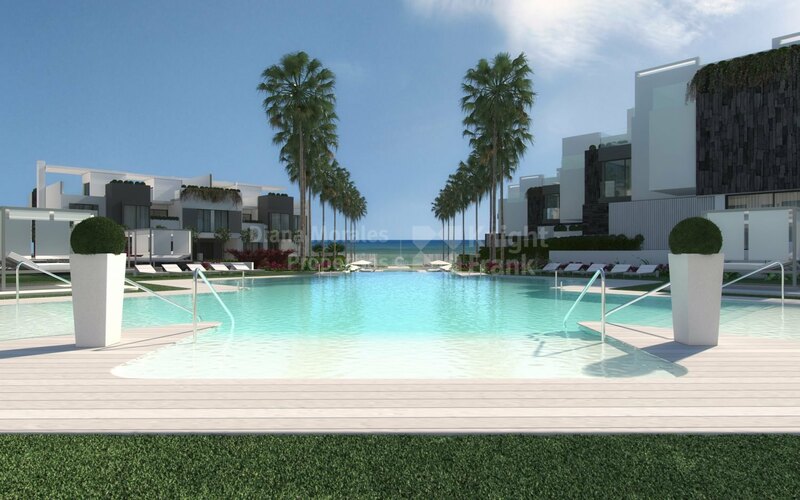 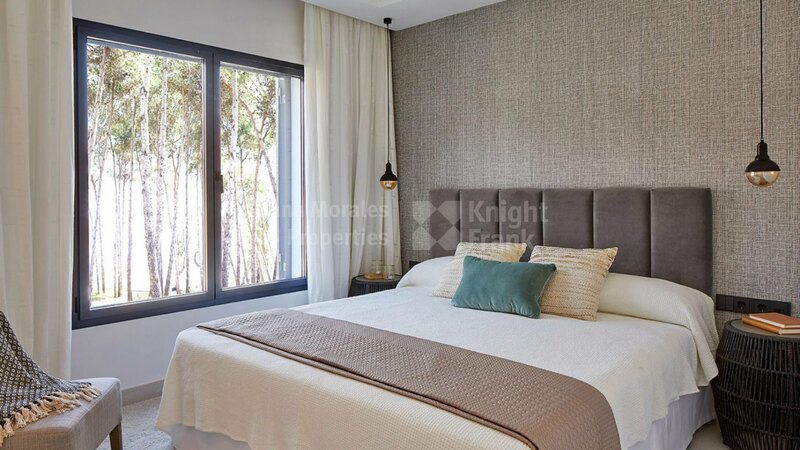 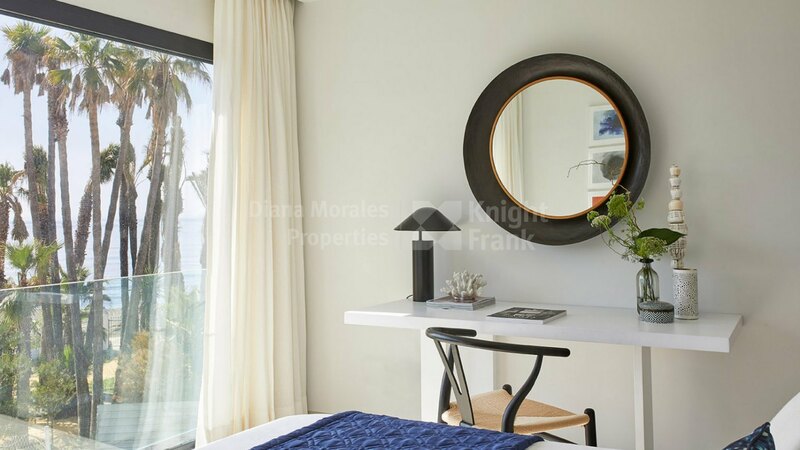 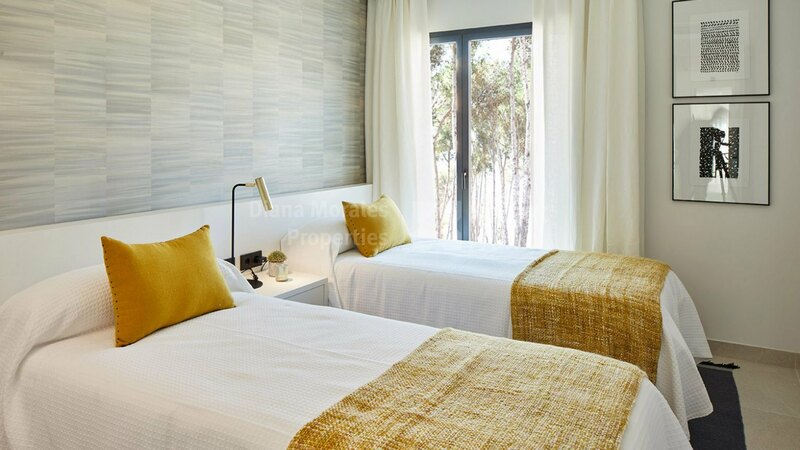 The development offers privacy, sea views, communal area with expansive waterfalls and a 50m olympic pool as well as an indoor Spa with sauna and steam bath. 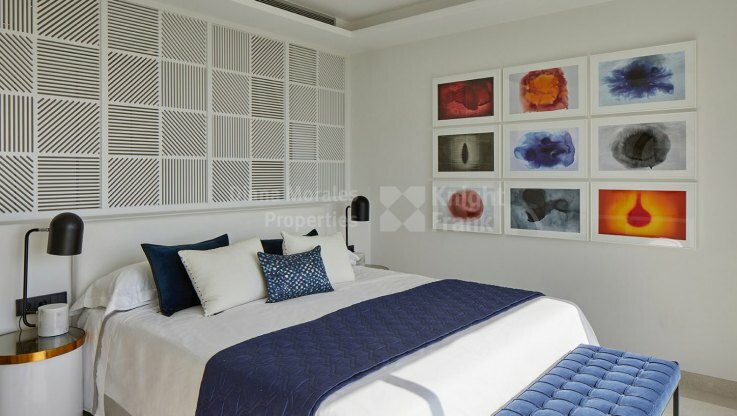 Each townhouse has an underground garage with personal access to the house through an ample laundry and service area, as well as communal parking spaces for guests. 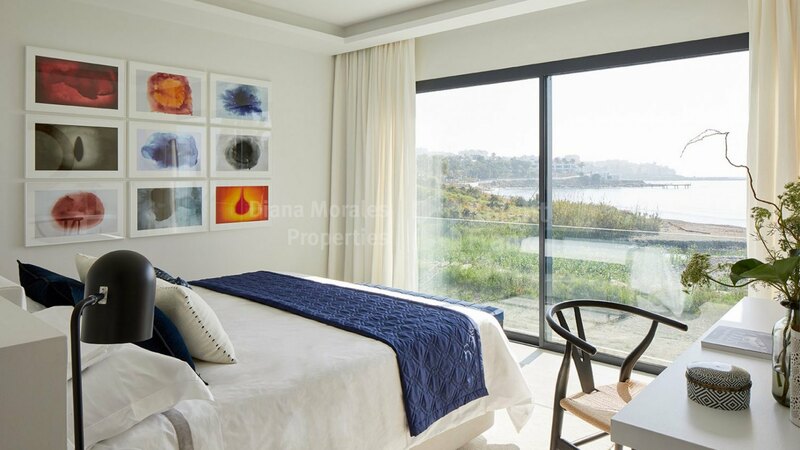 Development designed to take advantage of the natural light and the sea views with substantial windows and minimum profiles. 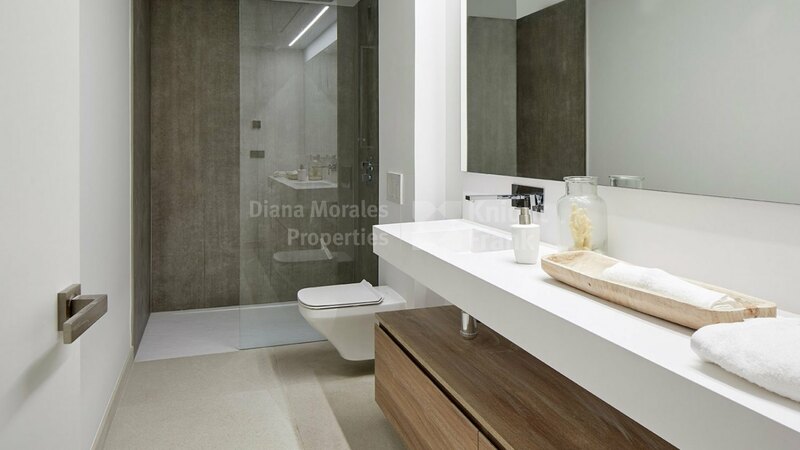 Complementing this open, innovative design are large format ceramic floor tiles. 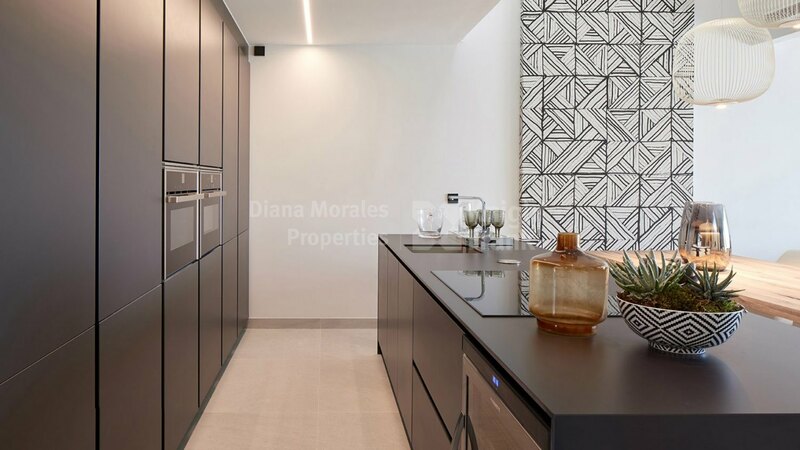 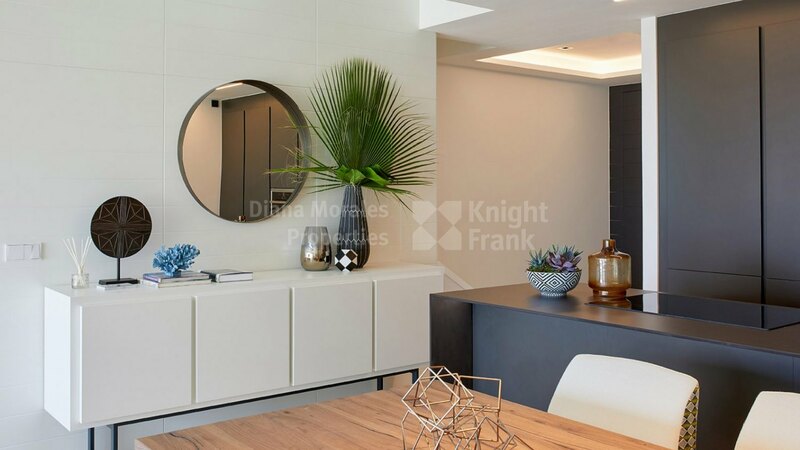 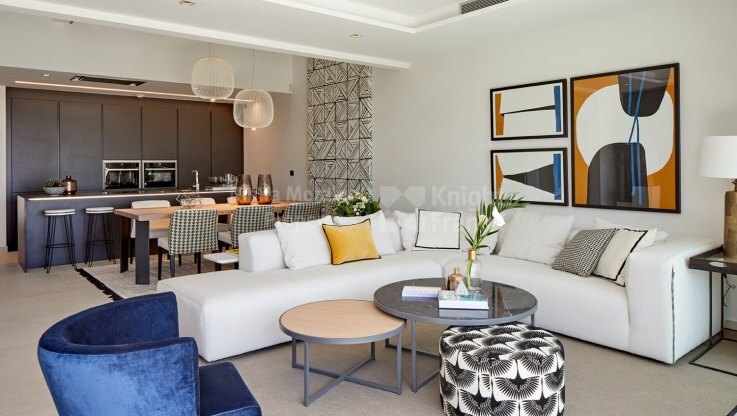 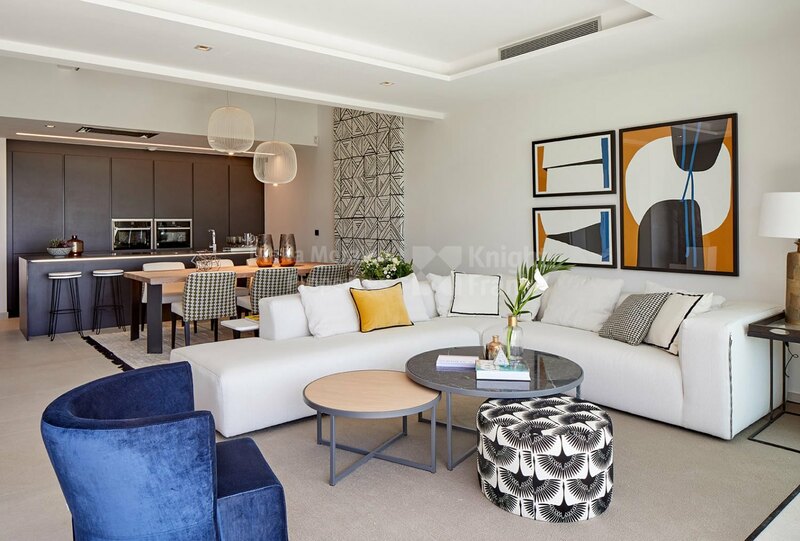 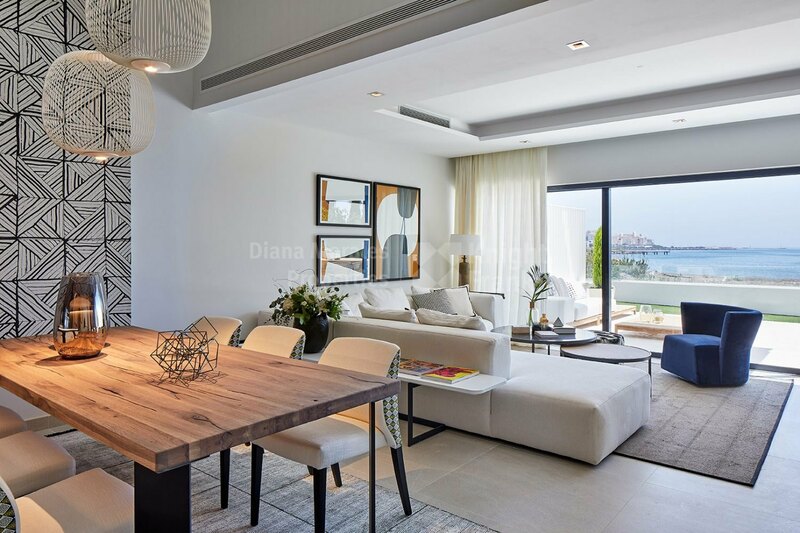 The open plan kitchens are superbly equipped with Siemens/Neff or similar home appliances, while the double-height lounge area is connected to the upper floor by a glass gallery. 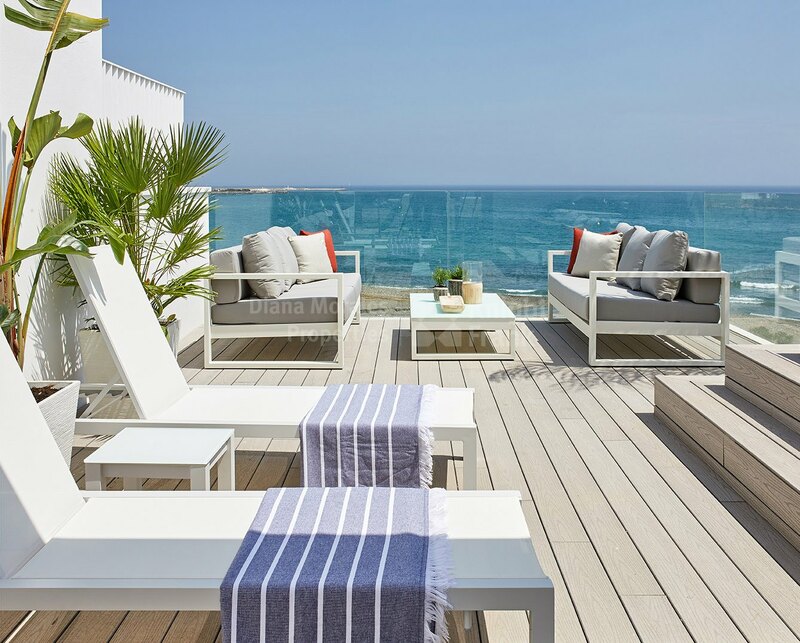 Each townhouse has a private roof terrace with jacuzzi, pergola, ceramic and artificial grass decking, and barbecue area. 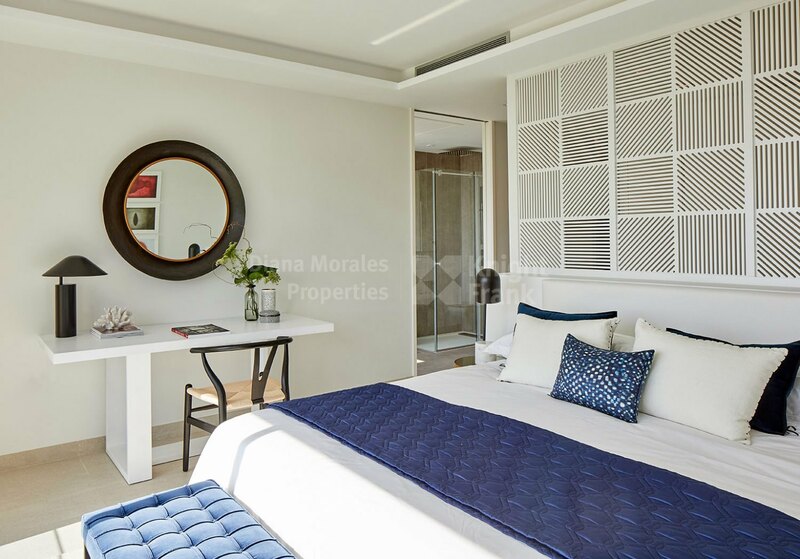 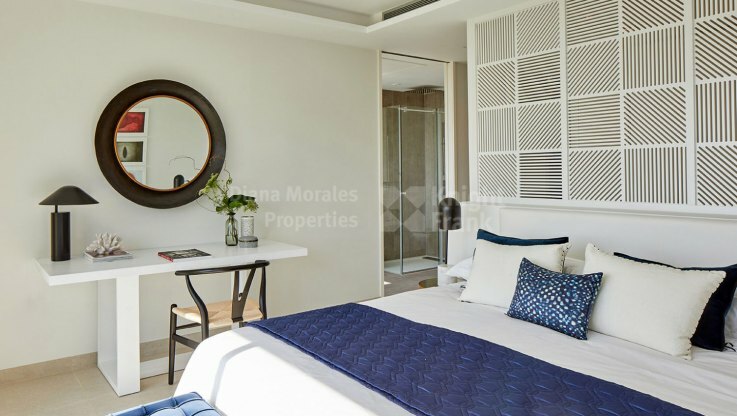 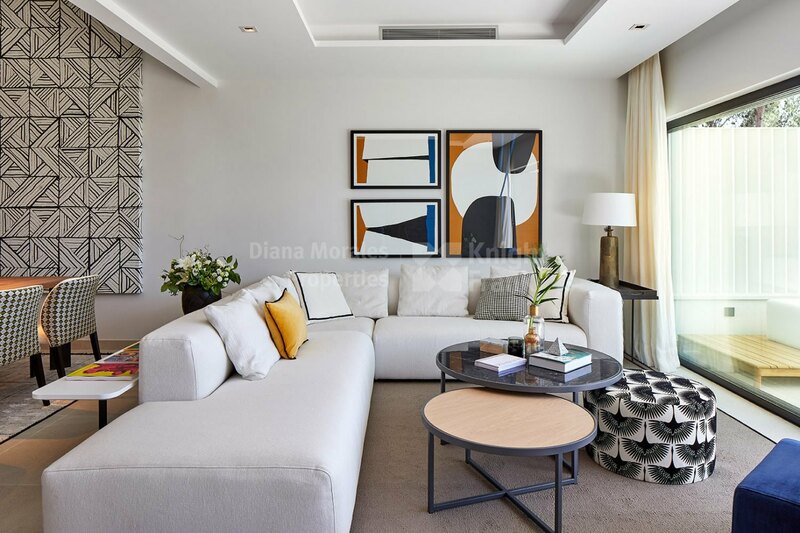 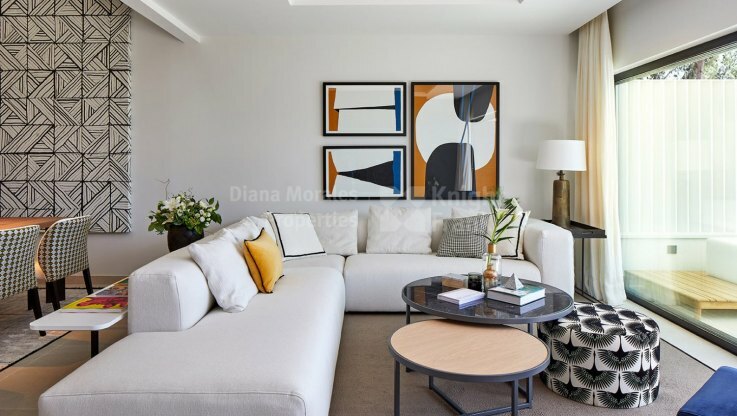 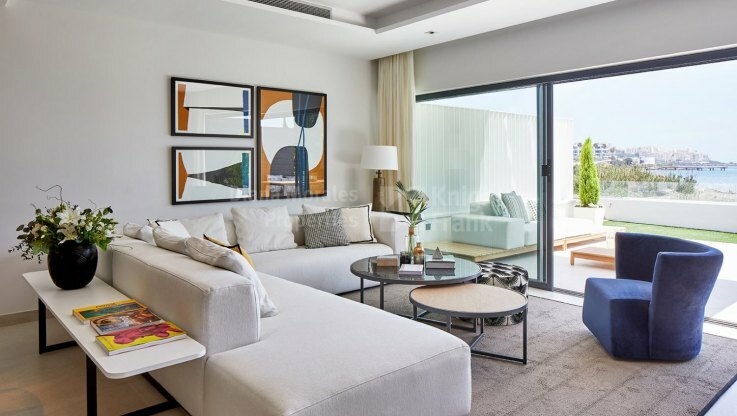 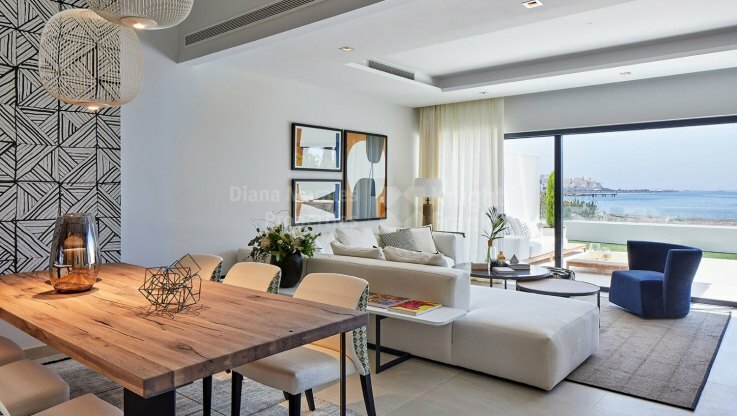 The residences also have a fireplace, under-floor heating (water-based in living areas and electric in bathrooms), hot and cold air-conditioning, and fitted wardrobes, and domotic home automation systems. 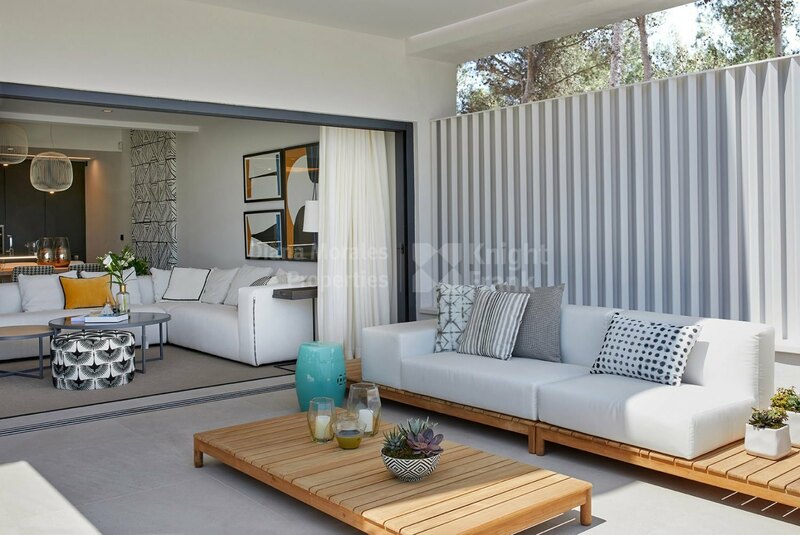 Other qualities include high doors, suspended toilets, automatic door entry to each garage, security doors, and double-glazed windows. 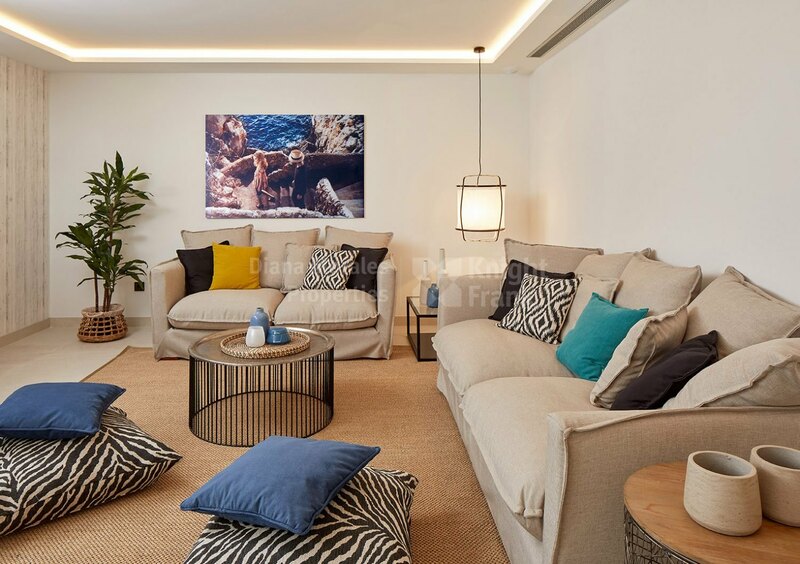 INDIRECT LIGHTING USING LED STRIPS IN ROOMS ACCORDING TO CEILING DESIGN.